Just as there are no perfect people, there is no perfect church. However, that does not allow us to give up on church altogether, shrugging it off like an old sweater that doesn’t fit or has gone out of style. If we stick with the sweater analogy, many people view the church as similar to the sweater your grandma knit you as a child. Grandma’s sweater may not have been in fashion or fit just right, but it was hand-designed to be a gift that showed just how loved you were. The same can be said for the local church. God hand-designed the church to be a coming together of the body of believers for the purpose of gifting his children with opportunities for fellowship, teaching, service, communion, and worship while spreading the good news of the gospel to the world. Friend, that’s a wonderful gift from a very loving Father. We know that as believers, we are the Church. Church isn’t a place. It is the whole of the body of believers united around the common belief that Jesus is the resurrected Son of God. Did your mama ever sit down, knee-to-knee with you, firmly looking you in the eyes as she reminded you of all the love and care that Grandma put into that sweater? The reminder shifted your perspective just enough that you felt grateful for the sweater and for the gift Grandma gave you, even if it wasn’t perfect. It is time to have that kind of perspective shift about the local church. The challenge is this: Commit to regularly attending a local church this year. Would you be willing to step outside of your comfort zone and step into church on a regular basis for a year? It’s January, after all. This is the season for committing to new habits, and I’d like to extend a challenge to you. It’s hard to find a place where we feel seen, known, and understood. In a church that loves as Jesus loves, all are welcome and there is a place for everyone. Church is a great place to build community by stepping out of your comfort zone and meeting some new people, who, like you, are doing their best to navigate life and faith and everything in between. Each week in churches around the world, the Word of God is being studied, discussed, examined, explained, expounded upon, made clear, and applied in ways that anyone can understand. Being a part of this conversation builds our own understanding and helps us see the Bible in fresh, new ways. From pulpits, platforms, small group circles, life groups, and Sunday school classrooms, words of encouragement are shared that remind us how we aren’t the only ones who are trying to live a life of love, peace, kindness, faith, and hope. We hear a rally cry each Sunday that reminds us we are not alone. Church is a place where we are able to experience selfless service. From the parking lot attendants to those who care for our children in the nursery to those who keep fresh coffee in the coffee pot, we see people who are engaged with serving others. We also have the opportunity to engage in that same kind of selfless service as we hear of opportunities to serve those in our community and the world around us. Each week, we are reminded of the beauty that happens when we stretch out a hand to help a brother or sister. Have you ever stood in the middle of a large group of people as they worshiped, and closed your eyes to listen as they praised Jesus? You have to admit there is something indescribably holy about it. We were made to worship and we were made for community. Church meets both of those needs. In auditoriums, sanctuaries, and meeting rooms we have the opportunity to get a little glimpse of what heaven will sound like as we link our voices together in worship. Taking the bread and the wine, while remembering the love story behind the death, burial, and resurrection of Jesus on a regular basis is powerful. It changes us, makes us grateful, humbles us, and stirs up our love for our sacrificial Savior. Communion brings us face to face with the cross, and we need that regular act of remembering. Each week, churches champion the values we all hold dear. Concepts such as morality, integrity, compassion, love, self-control, good character, and generosity are taught and demonstrated as our families listen. In a world where values aren’t always on display, it is a comfort to know that we can bring our families into a place where teaching these values is made a priority. Many of us feel pulled in so many different directions. The kids have school. Parents have work. There are extra-curricular activities, sports, and commitments that keep our families from spending time together. Church gives us a weekly place to be together as a family. It gives us a common bond we can all experience together. Churches provide so many opportunities to get connected to people, to ministries, to the community, and to the world. Activities and events are offered to make sure you never have to feel disconnected. You choose how engaged you feel led to be and plug in to the places you’d like to connect with. We all want to be a part of something bigger. Being a part of our local church allows us to do that. We have the chance to participate in being an active part of the body of Christ. We join with the work He chooses to do here on earth for the purpose of furthering the kingdom and spreading the gospel. 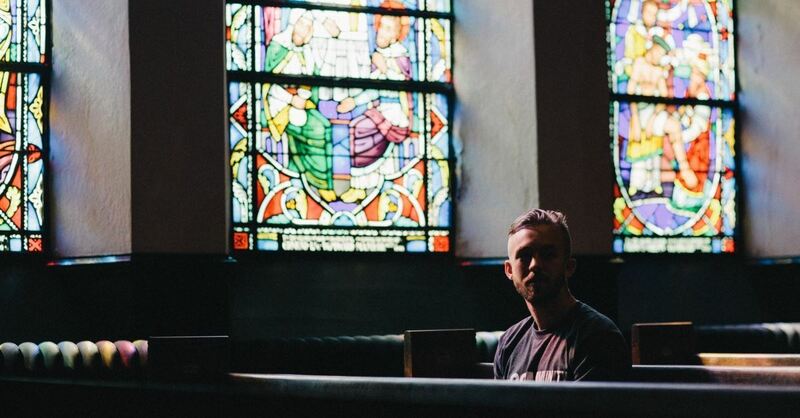 "We are the Church, yet, for some of us, attending a local church has felt more like the ill-fitting, itchy sweater from Grandma, rather than the gift of love God intends it to be." Maybe it isn’t perfect. Maybe it doesn’t fit just right. Maybe it isn’t trendy or fashionable or cool. Maybe you don’t see it as the love gift it is intended to be YET, but take this moment and remember all of the love and care God has put into this gift. Are you in? Are you willing to shift your perspective away from the imperfections and look at church as the love gift that God intends for it to be? Will you accept the challenge and commit to regularly attending a local church this year? Give the church – the body of Christ – an opportunity to win your heart again and show you the love gift that it can be. Commit to coming together with the body of believers and witness what can happen when we fully participate in accepting the gift of the church. Bobbie Schaeperkoetter is a speaker, writer, blogger, and encourager at bobbieschae.com. She loves Jesus with her whole heart and is just doing her best to honor Him in the craziness of life. She would love to be a friend and encourage you in your Christian walk as you do the same. She would love for you to stop by and say hello on social media on Facebook, Twitter and Instagram.